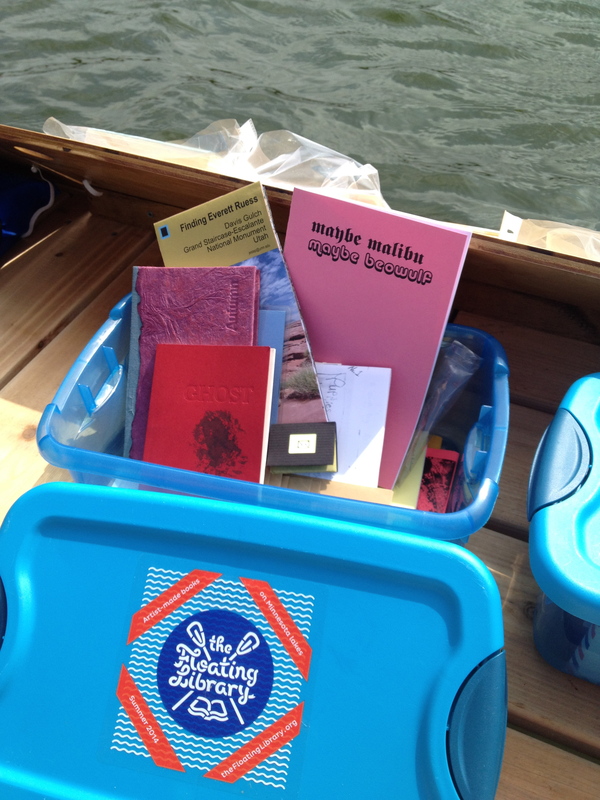 The materials featured at the Floating Library are books and other printed matter made by artists. What does that mean? It means you’ll find treasures ranging in form from photocopied zines to letterpress printed pamphlets to hand-stitched bindings to commercially printed volumes to objects that look more like sculptures than books. Some of them are made to last forever, some will fade and tear with time, some are designed for the unique environment of a lake-based library. 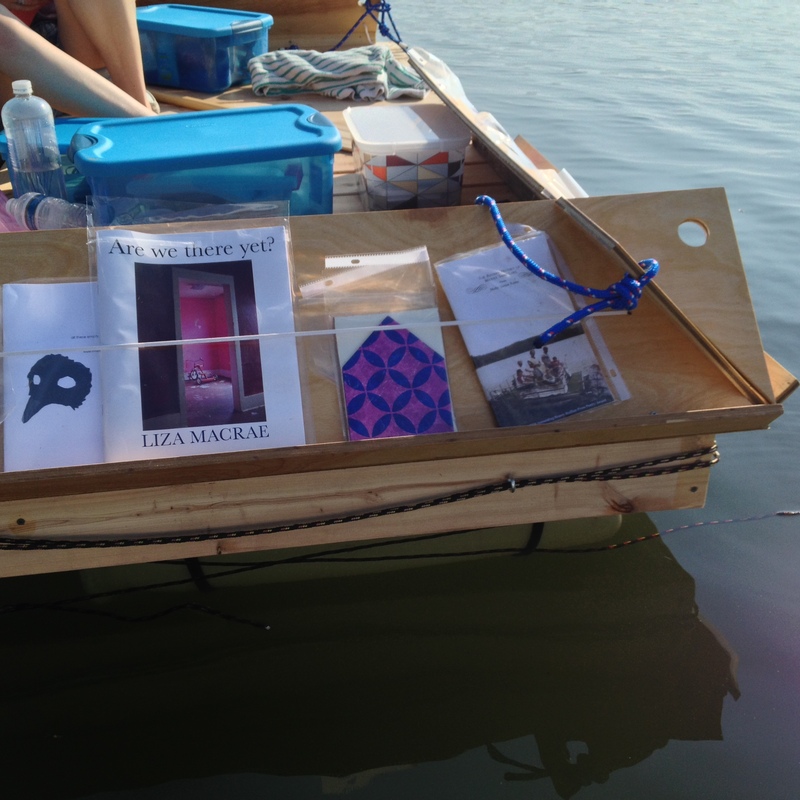 Since the project’s beginning, eight artists have been commissioned to make works specifically for the Floating Library. Areca Roe, Molly Balcom Raleigh, and Margaret Pezalla-Granlund (2014) and Aaron Johnson-Ortiz, Caitlin Warner, Tou Yia Xiong and Martine Workman (2016). Anh-Hoa Thi Nguyen is the commissioned artist for 2018. Other works in the collection are contributed by artists and writers near and far through an open call. Roughly 100 books are part of each year’s viewing collection. Interested in submitting an artist book to the collection? Read more here! Thanks to LibraryThing.com and Co-Captain / legit librarian Lacey Prpic Hedtke, we have an online database of the Floating Library’s collection through 2018. Search by tags, title, artist, or cover image or simply peruse the “stacks” from a weather-neutral spot on land.